NGC 2976 does not look like a typical spiral galaxy, as this NASA Hubble Space Telescope image shows. In this view of the oddball galaxy's inner region, there are no obvious spiral arms. Dusty filaments running through the disk show no clear spiral structure. A raucous interaction with a neighboring group of hefty galaxies stripped away some gas and funneled the rest to the galaxy's inner region, fueling star birth about 500 million years ago. At the same time, the galaxy's outer regions stopped making stars because the gas ran out. Now, the inner disk is almost out of gas as new stars burst to life, shrinking the star-formation region to a small area of about 5,000 light-years around the core. Astronomers pieced together the galaxy's star-formation story with the help of Hubble's sharp vision. 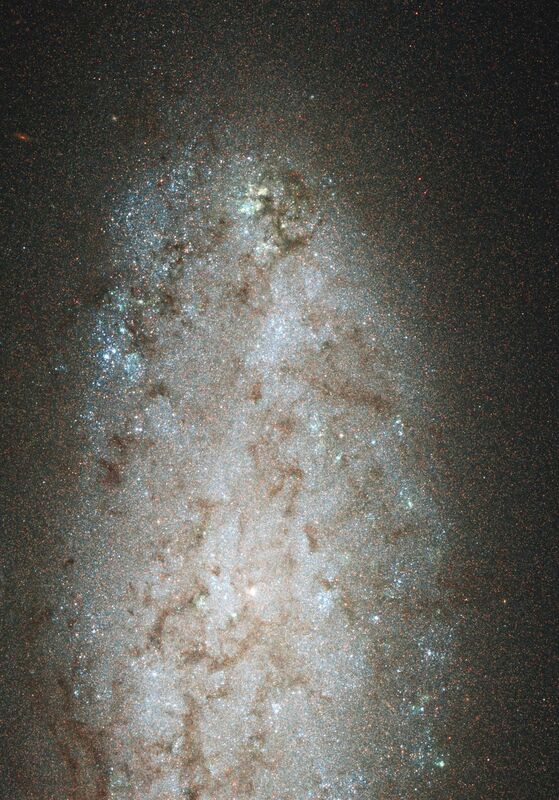 The galaxy's relatively close distance to Earth allowed Hubble's Advanced Camera for Surveys (ACS) to resolve hundreds of thousands of individual stars. What look like grains of sand in the image are actually single stars. 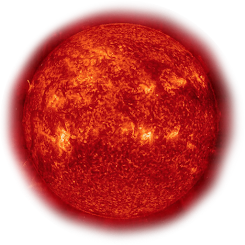 Studying the individual stars allowed astronomers to determine their color and brightness, which provided information about when they formed. Based on this analysis, the astronomers reconstructed the star-making history for large areas of the galaxy. The blue dots in the image are fledgling blue giant stars residing in the remaining active star-birth regions. NGC 2976 resides on the fringe of the M81 group of galaxies, located about 12 million light-years away in the constellation Ursa Major.